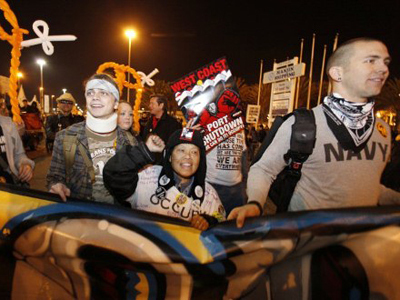 Oakland police have made one of the biggest mass arrests since the outbreak of the Occupy movement in the US. Activist Sara Flounders tells RT why Occupy Oakland tried to take over a convention center on Saturday night. "It is important to recognize that the Occupy movementis focusing attention on absolutely abandoned, unused property at a time when there are millions of people homeless in the US and at a time when the Occupy movement has been thrown out of its encampments across the country," said Sara Flounders from the International Action Center. "So this is another creative tactic to take unused convention center space and have it as a new center for the Occupy movement in Oakland." 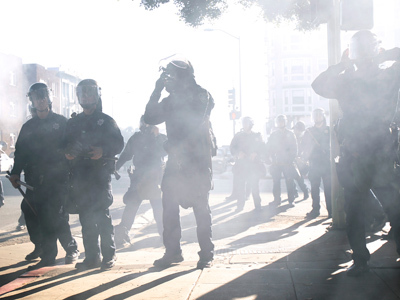 Flounders played down reports saying that Occupy activists pelted Oakland police with bottles, rocks and burning flares. 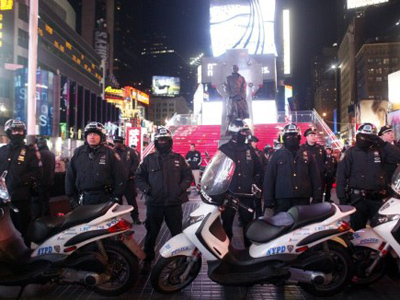 "Again and again, the media tries to paint this Occupy Movement as being violent. The violence has come from the police. 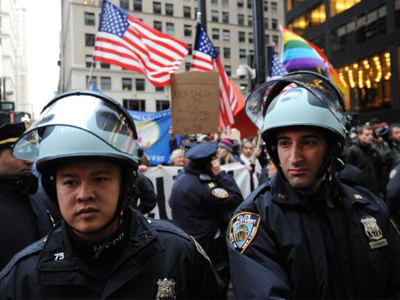 A broken piece of glass is not the broken heads the police are inflicting on the Occupy Movement," insists Flounders.